It's time to go back and revisit an old favorite. The Homestar Classic is an enhanced version of the original feel of the Sega Toys bestselling series of home planetariums. Now the Homestar comes in a new chic look but with a design that returns to the first style that won over star-gazing fans across the world. 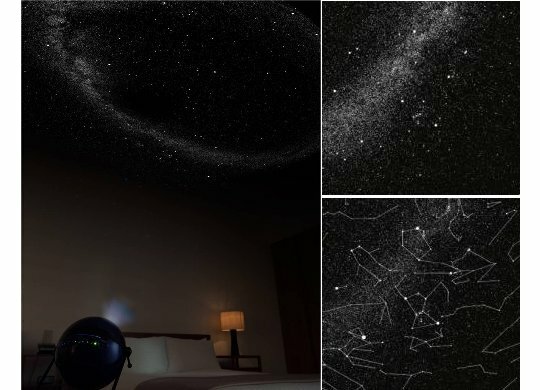 And of course, the functionality is as always top notch: Enjoy 60,000 stars from the Japanese night sky right in the comfort of your home with this quality optical planetarium, courtesy of supremo planetarium creator Takayuki Ohira. Here are some of the new features. There is a shooting star to spot in the spectacle and diurnal motion, as well as several practical functions like angle adjustment (0-90 degrees) and several timer options. The Homestar Classic is highly compact, making it suitable for a variety of houses, apartments, offices, bars, cafes and shops... You name it, the Homestar Classic will fit in and transform the room. The model comes in two classy colors, Pearl White or Metallic Navy.